Along with the ghosts, witches, and goblins trick-or-treating, the scariest thing about Halloween may be what you least expect – sugar. The bags of candy that children bring home pose serious dangers due to overconsumption of sugar. Some doctors posit that sugar is more than just empty calories, it is a poison that causes a number of serious illnesses. The rise in childhood obesity in the US, diabetes, heart disease, hypertension, and many common cancers are linked to sugar. So what is sugar, how do we digest it, and why do we need to watch how much we consume? Sugar is all around us. It occurs naturally in fruits and honey, but added sugar can be found in energy drinks, sodas, fruit drinks, teas, and even soups and salad dressings. 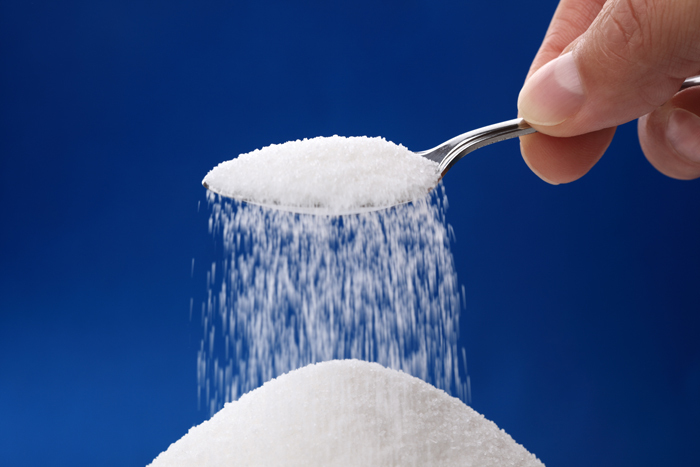 Usually, the term “sugars” refers to monosaccharides, such as glucose and fructose that come from fruit and honey, and disaccharides, such as sucrose that comes from white sugar. Sucrose, such as white sugar, was used until the mid-1970s when High Fructose Corn Syrup (HCFS) became the main source of sugar in manufactured foods. HCFS is made when corn’s natural fructose is changed to glucose, synthetic chemicals are added in, then the glucose is changed to artificial high fructose. Most Halloween candy has HCFS as its main ingredient. Sugar and carbohydrates pass quickly through the body during digestion. They move from your stomach to your small intestine where they begin breaking down. All types of sugar break down into a sugar molecule that it is then absorbed through the intestine and into the blood as glucose. This is how it is converted into energy. Evidence is mounting on the negative effects of sugar. Scientific studies have shown that fructose can trigger processes that lead to liver toxicity and other chronic diseases. Excessive sugar consumption not only adds calories, but induces diseases associated with metabolic syndrome such as hypertension, high triglycerides and insulin resistance through synthesis of fat in the liver, and diabetes. It is toxic to the body in a similar way to alcohol. In addition to these adverse effects, sugar can cause dependence by dampening the suppression of the hormone that signals hunger and interfering with another hormone that makes us feel sated. Not only this, but it reduces dopamine to decrease the amount of pleasure derived from food causing us to consume more. In a recent study, 43 obese children who consumed a diet of reduced added sugar, saw dramatic health improvements in only 10 days. The diet maintained the same number of calories and the children continued to eat fatty foods and junk foods. Their cholesterol, blood pressure, and blood sugar levels lowered and they even lost some weight, despite no changes to their calorie intake or physical activity. Most of the children said they felt “too full” on the new diet despite the equal calories. It would seem obvious that sugar intake needs to be monitored, but sugar is practically unavoidable. It is in nearly all processed foods in the form of HCFS. 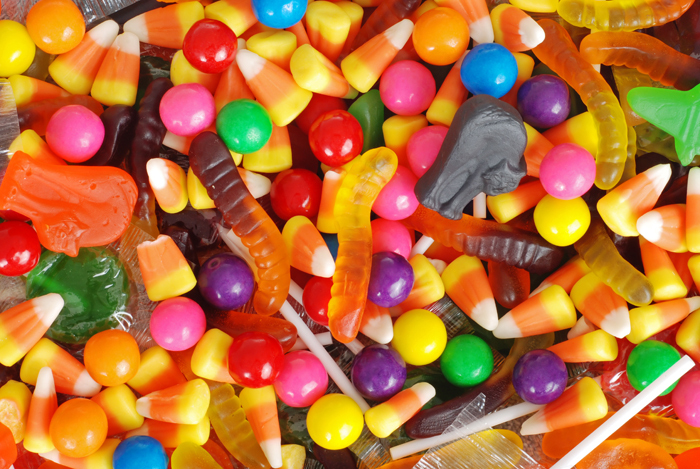 To avoid overconsumption of sugar on Halloween, some parents have their children trade it in for a toy, dentists buy it back for one dollar per pound, and others send it to troops overseas. However, given its presence in many of the foods we eat, it is not only on Halloween that sugar intake needs to be monitored. It is wise to take a more conscious approach to sugar consumption in order to prevent some of the dangers of eating too much. Want to learn more about the chemistry of sugar? Check out our Organic Chemistry and Biochemistry course at Educator.com for lessons on Biomolecules and Glycolysis. Lustig, R., Schmidt, L., & Brindis, C. (2012, February 2). The toxic truth about sugar. Nature, 27-29. Previous Electrochemistry: More Powerful than Thor!